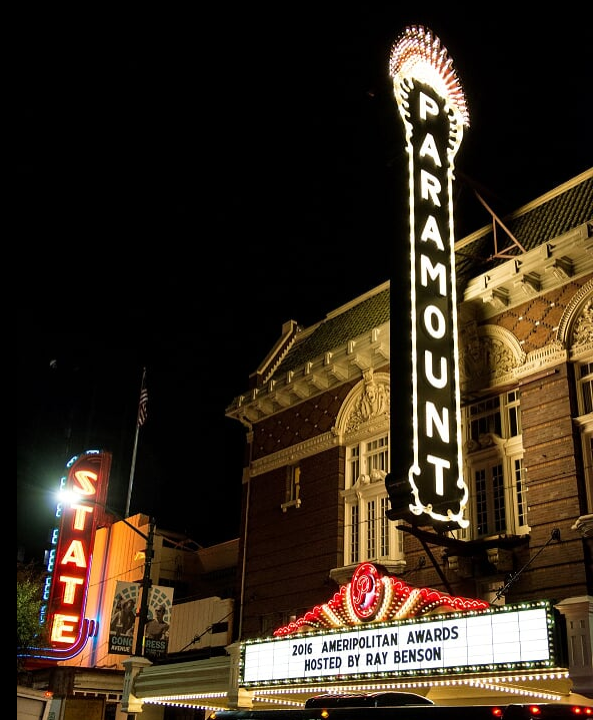 In a state known for music, and in a town known for live music like Austin is, the 3rd Annual Ameripolitan Music Awards, which took place February 16 at the historic Paramount Theatre in downtown Austin, TX was a stellar event. Presented by Lone Star beer, and emceed by the legendary Ray Benson. The event honored the best of Ameripolitan Music as voted by the robust music fans in the region. It was a packed house at the grande dame theatre in Austin. Over 1,200 guests and 97 nominees, from many areas of the U.S. and abroad, packed the theatre to celebrate the best of Ameripolitan Music; a music genre originally coined by singer/songwriter Dale Watson, defined as having a prominent root influence, not conforming to the ‘country’ of today. It is broken into four related subcategories: Honky Tonk, Western Swing, Rockabilly and Outlaw. Artists and bands can fall into one or more of these categories. The evening’s highest honor, the "Master Award" was presented to the legendary musician Charley Pride. Pride is the first living male to ever receive the Ameripolitan Master Award, preceded only by Ray Price. The 2016 "Founder of the Sound" Award went to two recipients: Wanda Jackson and the late Red Simpson. Led by an all-star band, nominees dazzled the audience with performances, including numbers from Jason Roberts, Charlie Thompson, Wayne Hancock, The Country Side of Harmonica Sam and many others. There were also special performances by Charley Pride, Bill Kirchen, Georgette Jones, Doyle & Debbie, Rosie Flores, Dale Watson, and Ray Benson. We love that the Ameripolitan Music Awards was created under the leadership of Texas Honky Tonk legend, Dale Watson, to acknowledge the exceptional creativity and dedication of roots artists whose work does not readily conform to the tastes of today's "Country", or other music genres and organizations. Ameripolitan Music LLC and The Ameripolitan Music Awards were founded to benefit and acknowledge these artists and it also provides fans with a means of finding these artists and their music.